Pass Plus is a training scheme for newly qualified drivers designed by the Driver & Vehicle Standards Agency (DVSA) with the help of insurers and the driving instruction industry. The scheme comprises of six modules and can be taken within 12 months of passing the practical driving test. The training will focus on confidence building, developing practical driving skills, hazard awareness and attitude to road safety. There is no test involved, however, you are continuously assessed by your Pass Plus registered instructor throughout each of the training modules. Candidates will be allocated an (A) Achieved status, or (E) Exceeded status, which grades their ability on each module of the training. This grading will determine what potential discount would be available from eighteen insurance companies currently participating within the scheme. Certain insurance companies are offering up to a 40% discount on your first year's car insurance premium. 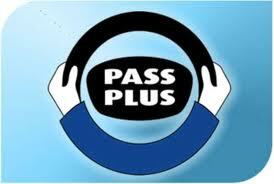 The Pass Plus course can be taken in either a driving school vehicle, or the pupil's own vehicle. "L" plates are not required on either vehicle for the course. Please Note: When using the pupils own vehicle for the Pass Plus course, it is the pupils responsibility to ensure that the vehicle's legal documentation i.e. CAR REGISTRATION CERTIFICATE, ROAD TAX, MOT and INSURANCE are all valid. Pass Plus (1 module) ANY CAR @ £30.00 Please Note: Pass Plus has 6 modules and all 6 modules have to be completed before the DVSA will issue a Pass Plus Certificate. Town Driving can be daunting: rush hour traffic, complicated junctions and traffic systems - learn the skills to deal with these. The first module begins with an introduction to Pass Plus, explaining the course aims and the skills and knowledge to be covered. This practical session covers the different features of driving in a town, such as complex junctions and public transport. Rain, fog, bright sunshine, snow and ice - find out how to drive safely in all these different weather conditions. To drive safely on fast, multi-lane roads you'll need your skills of observation, concentration, anticipation and lane discipline. Motorways are like no other roads - learn how to drive on them safely and correctly under expert supervision. Dealing with dazzle, judging distance and speed, using your lights correctly.